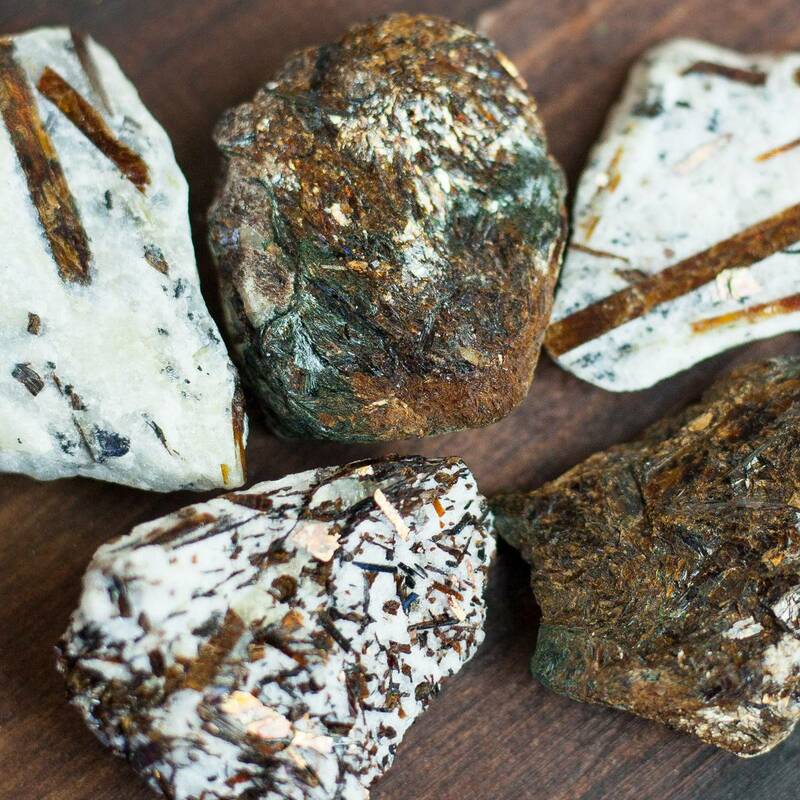 Astrophyllite is the stone of deep and hidden magic, of finding light in the darkness. It activates the entire chakra column to become a high-frequency channel and is a magnet for synchronicities. This gem connects you with your inner wisdom, encourages self-acceptance and forgiveness, and opens your consciousness to the higher realms and other dimensions. Each of these pieces of natural astrophyllite shimmers beautifully, corrugated by radiant, golden striations that jut through. Found in remote regions of Norway and Russia, it is one of the most complex crystalline structures on Earth. Astrophyllite will open and activate each of your energetic centers – from the Soul Star Chakra, all the way down to the Earth Star Chakra. In doing so, it will create a powerful channel of light that will flow through you freely and illuminate even the darkest parts of you – so that you may shine brilliantly in your entirety, deeply aligned with your Highest Path. 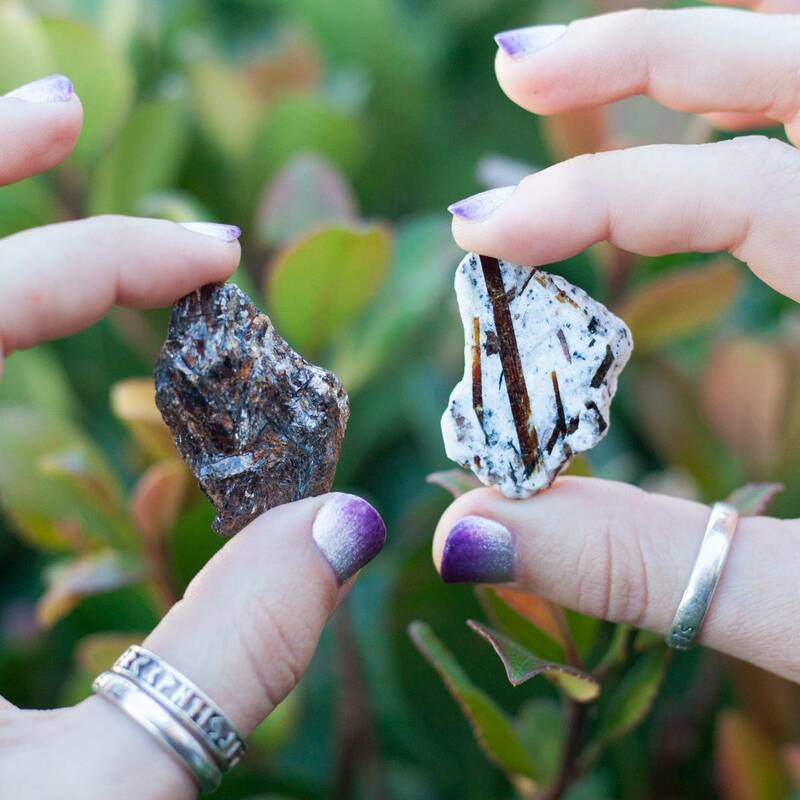 Astrophyllite encourages interdimensional communication and deepens psychic ability. It helps you release the weight of doubt, fear, and anxiety – so that you may ascend and connect with your Highest Self – the self that reaches into realms far beyond this one. 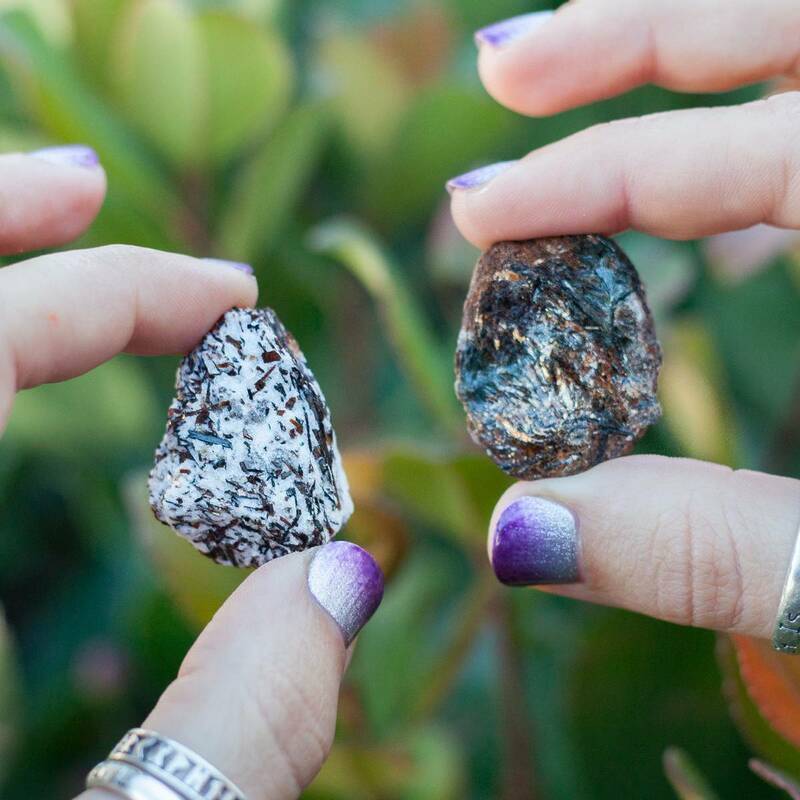 Meditate with your stone as you continue your journey of self-knowledge and expand all your cosmic connections. It can take you anywhere, anytime – past, present, or future. Have yours wire wrapped and wear it as a pendant, keeping its medicine close to your heart. This listing is for one (1) natural astrophyllite, about 1.5-2″ in size. Yours will arrive lovingly parceled along with a single leaf of white sage leaf and a card describing the properties of the stone. I agree with another reviewer that the photos do not do this crystal justice! I had never seen or heard of astrophylite but was drawn to it despite the photo depicting what appeared to be merely an interestingly speckled “stone”. Yes, I am one of those, “Ooooh! Shineeeee!”, people to some extent lol. After reading the description I was even more intrigued, so I went ahead and ordered it. I’m smitten with & fascinated by it – sooo sparkly. I could literally stare at it for hours ; ). Very happy I decided to add it to my growing collection! My piece is so beautiful it makes me want to cry of happiness. It has the most beautiful details! I know everything I get at SG will be perfect. Nothing is ever dull! This generator is beyond gorgeous. So many rainbows!! It is great size for this low price. It is nice and wide which is perfect for gridding! I love it so much i am going to get another one! Sorry! I meant to post this under the clear quartz generator! Not sure how to fix? This astrophylite is phenomenal! It is so gold and beautiful! Pictures dont do it justice!